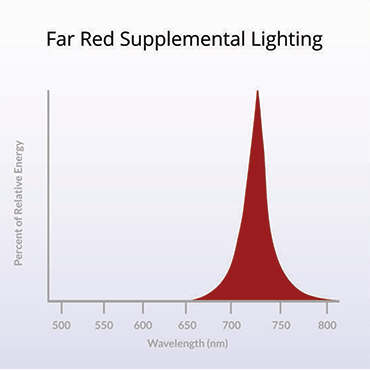 Go Far Out into the Far-Red with the SolarSystem Far Red Programmable Supplemental LED at 730nm and 100 watts. 8.5" x 8.5" x 4"
The SolarSystem features the latest generation high-efficiency LEDs as well as the most versatile control system on the market. This system is perfect for a single light in a tent or several hundred lights in a large commercial operation. Dimensions 8.5" x 8.5" x 4"